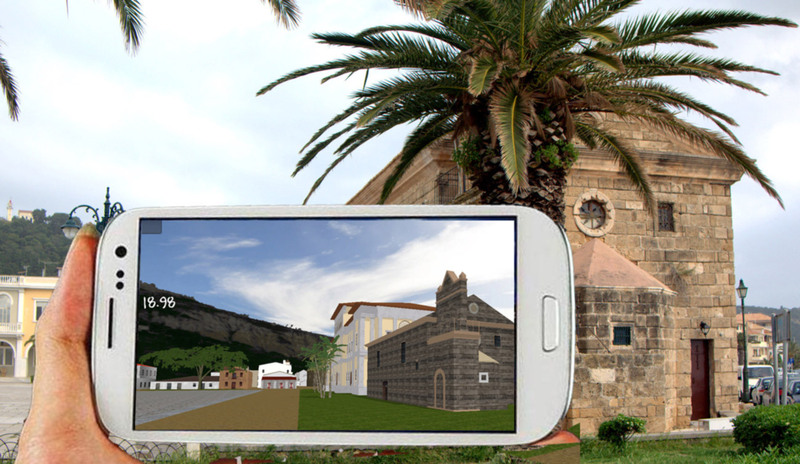 In this project we experiment with an innovative technology (Villusion) where a 3D virtual world of the old town (as it was built 100 years ago) is masked on the real world with the use of augmentative reality. The rapid development and proliferation of mobile technology has benefited the development of various kinds of augmented reality applications. These applications aim on augmenting the real world with digital information. 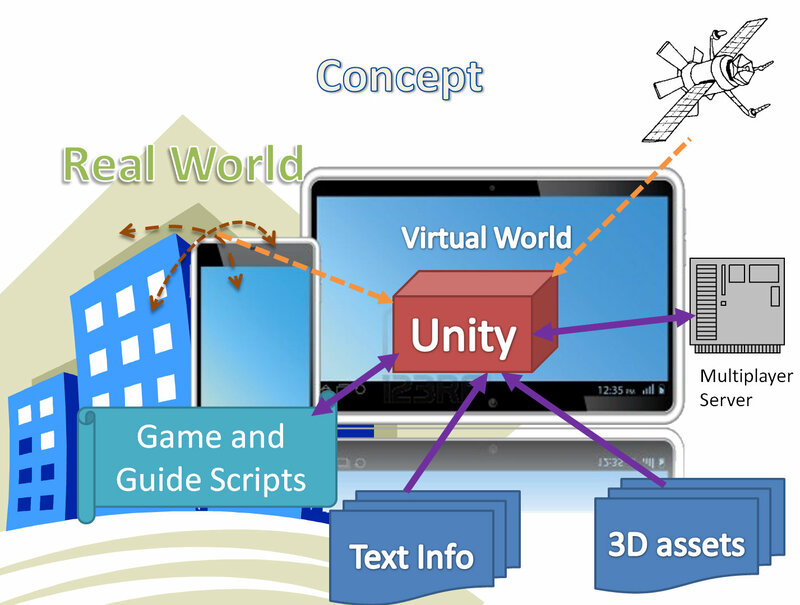 Augmented reality in this sense is a variation of virtual reality that displays virtual objects in the real world. The "time machine" project presented in this paper follows a different approach, namely it uses the real world for augmenting a virtual world. The virtual reality imagery is enhanced by displaying it in mobile devices in an authentic real world context. As a proof of concept we have created the “time machine” mobile application that uses the GPS and gyroscopic sensors of a mobile device and maps the virtual world on the real world by rendering the 3D models using real life coordinates and orientation information. The “time machine” mobile application displays the old town of Zakynthos, Greece, as it was before the catastrophic earthquake in 1953. The modern day Zakynthos town has a newly rebuild town center with a contemporary architectural style which is mostly set on the same town plan as the old, destroyed town. A team of architects reconstructed a virtual model of the old town using a variety of sources: old pictures, per-catastrophe town plans, engravings and other sources. The resulting interaction provides the user with the experience of looking through a time window whenever she looks through the mobile device. The virtual world brings back the lost town while the real world augments the virtual world by adding the sense of space and natural environment awareness. In order to increase the sense of awareness of the virtual world, 3D sounds were added creating a sound space inspired of everyday sounds of a 19th century town. Preliminary evaluation has been conducted by carrying out field trials with two different user groups . During the two trials we have aimed to determine whether the users are able to navigate and orientate in the physical world without getting confused or disoriented. At the same time we observed the rate at which the users were able to associate the real world with the virtual world in order to absorb information related to the old architecture and style of life of the old town. 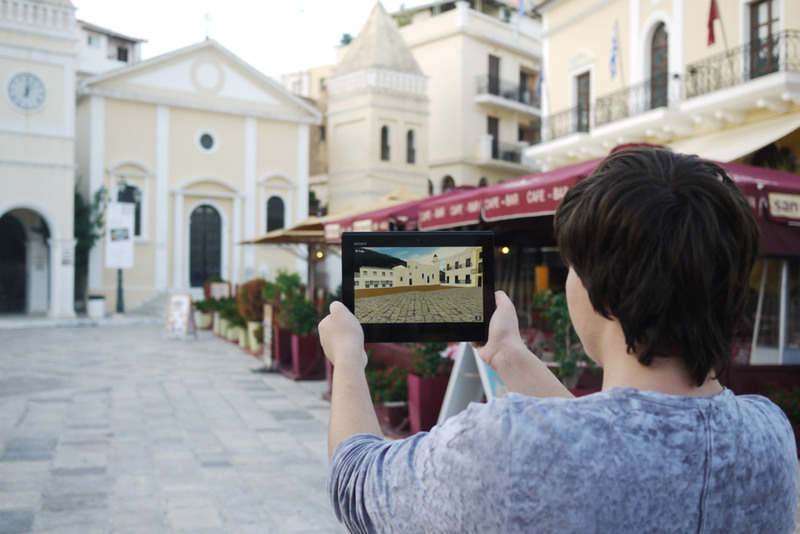 Group A consisted of adults who used the virtual world as a tourist attraction where they were guided through the old Zakynthos town by walking through the modern town. Group B was a team of school pupils who played a simple game in the same location. The game consisted of simple tasks that involved the recognition of buildings and the search of artifacts. The results of the first trials where more than encouraging. The users were able to complete navigation tasks and they also developed a visible interest in exploring the virtual world while walking on the real world in order to see the old town of Zakynthos. Future development of the application involves the implementation of a multi-user experience where the users will be able to compete or cooperate in mixed virtual-physical world tasks. This kind of interaction will make it possible to implement situated learning games where students will be able to fulfill game scenarios that will be based on the history of the town.